Mother Nature paints us a beautiful picture in the autumn. 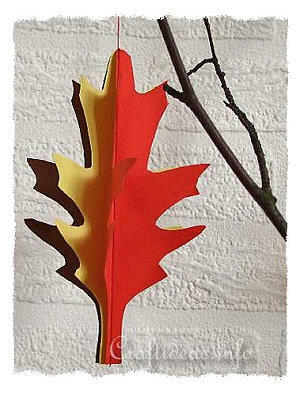 The colors of the season are brilliant reds, oranges, golds and browns on the trees. It lasts only a few weeks and eventually the leaves fall, leaving the trees bare until spring. 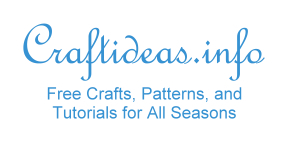 You can capture the colors by making your own decoration. 1. Follow the instructions in the link below for making 3-D figures. You can make your figure multi-colored or use a single color. 2. Collect a couple of bare branches and arrange them in a vase. 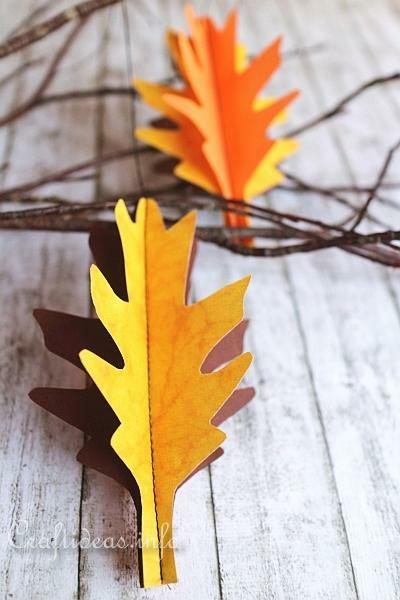 Make then a few of these leaves to decorate. 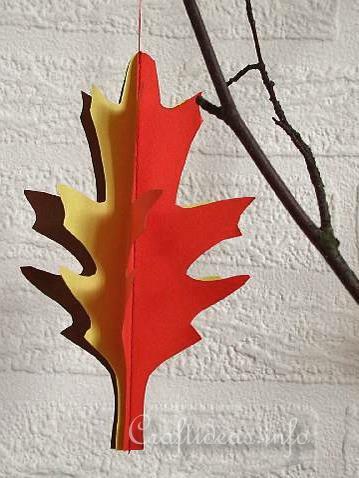 You may of course make the leaves 1 color or 3 colors like in the picture.